Located in Deadwood Creek in Central Alaska, USA. 185 miles from Fairbanks. 160 acres of virgin, gold-bearing land tested and proven. Turnkey operation with all paperwork filed and approved. Asking price $725K. Ready to mine now! Prepaid through 2015. 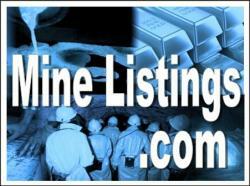 Excavator, dozer, field kitchen, portable 75’x25’ facility, plus too many items to list. Price options available without equipment starting at $525K. Trisherary/ Aluvial Gravel ( river gravel ). Historical Value is in the Central Museum.